Several days ago, I received some stamp sets from TSG as well as a newly released stamp set (Good Times). The card I'm sharing today was used one of those, Bloom. Is this dahlia absolutely beautiful, isn't it? I love all flower images in this set! I can't wait to color each and all of them in!! The sketch I used was FTL129. 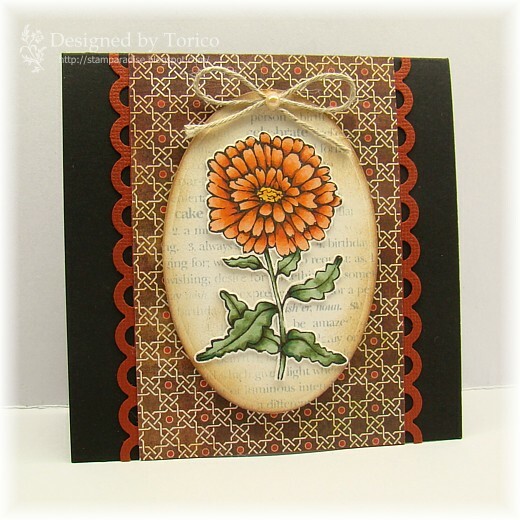 I'm also entering this card to this week's Crazy 4 Challenges (C4C76 -- to use flowers on our project). 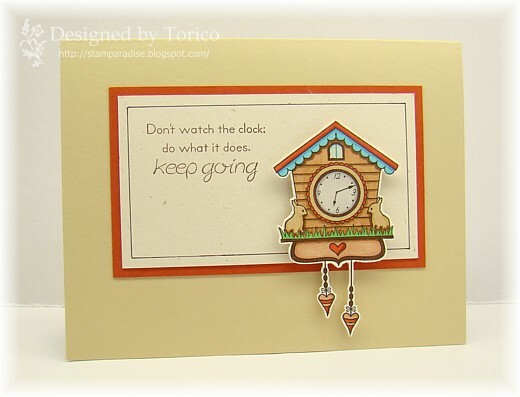 Today I'd like to share a simple card using a cuckoo clock image from the Good Times set that will be released tomorrow. 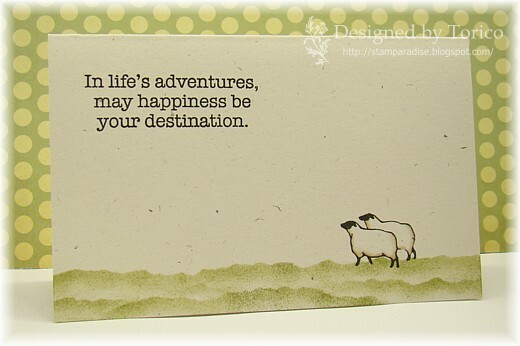 I really love this sentiment that Jessica added to this set. When I have a lot of things that I have to do, I often fluster myself and indeed need a phrase like this to cheer me up. I'm still in busy days, so I'm just a person who needs this card now. LOL! Thank you so much for stopping by! Have a wonderful weekend. 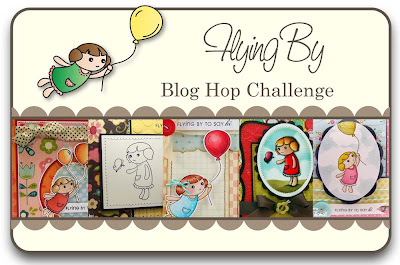 Today is Day 3 of this month's TSG Blog Hop Challenges! We are showing you two stamp sets, one of them has been illustrated by me! 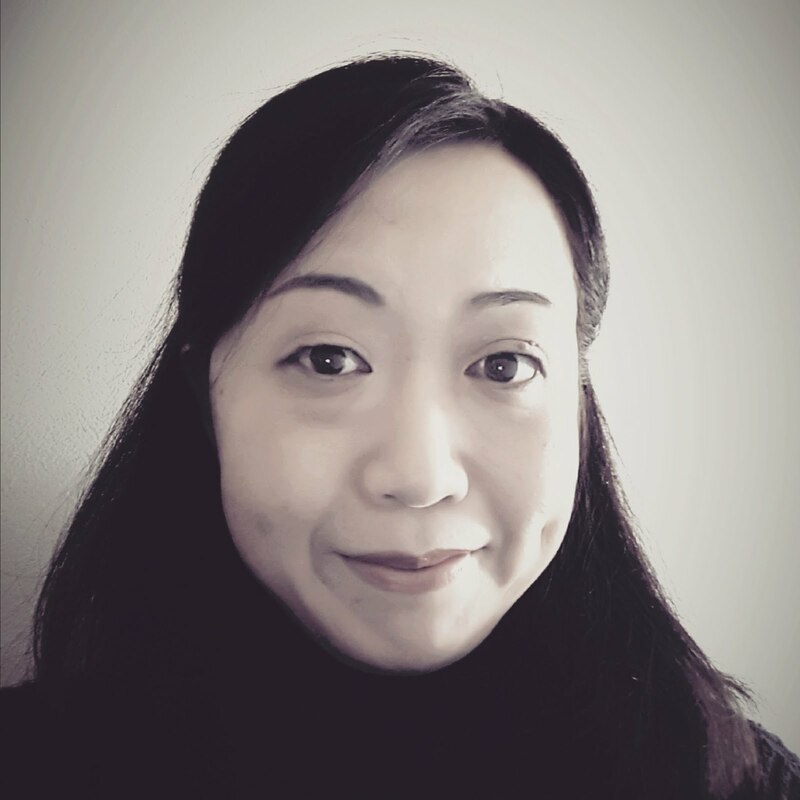 If you came here from Sandra's blog, you are on the right track. But if not, please head back to the TSG blog to start your hop. The first set for today is called "Flying By"! Iwona has done it again! She is bringing us some precious little girls that are ready to capture the joy of spring! 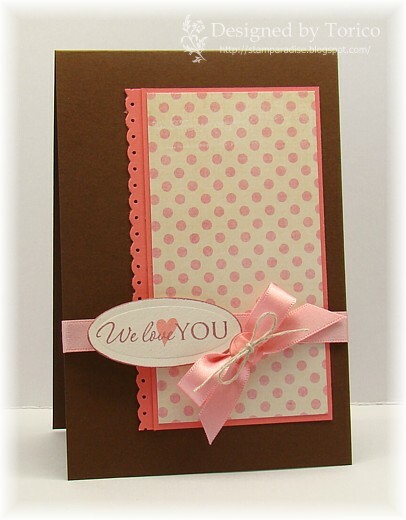 Whether chasing balloons or butterflies, these little ones will help express your joy to the recipients of your cards. 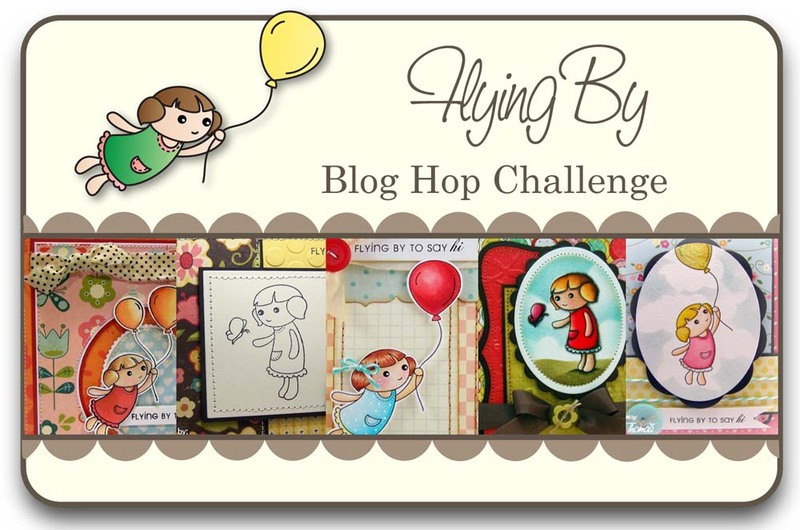 “Flying By” is a 3x4 stamp set that includes a total of 5 stamps and will sell for $7. The next one is "Good Times"! Time is precious to all of us, and this set showcases that fact! The sweet and “time”less spring critters will not only have you using your time wisely, but they’ll also be bringing endless smiles to your faces. 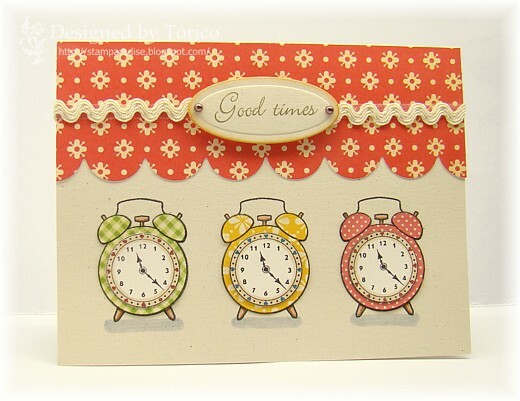 “Good Times” is a 4x6 stamp set that includes a total of 11 stamps and will sell for $15. 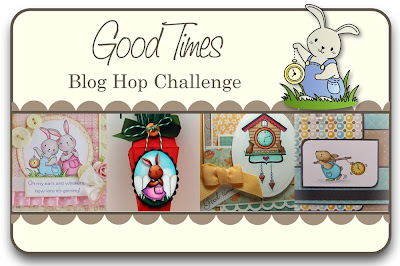 You have a chance to win the " Flying By" & "Good Times" sets!﻿ Go to each of the Trendsetter's blogs and leave a comment on their "Flying By / Good Times" Blog Hop Challenge post. After you have finished, return to the TSG blog and add your name to the Mr. Linky at the bottom of this Blog Hop Challenge post. A winner will be chosen randomly using a random number generator to receive their very own “Flying By” & "Good Times" stamp sets. 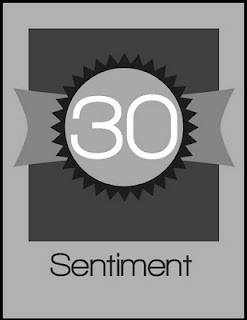 The winner will be announced Saturday (Feb 26th) during the Release Party Chat. Here is the end of today's hop. 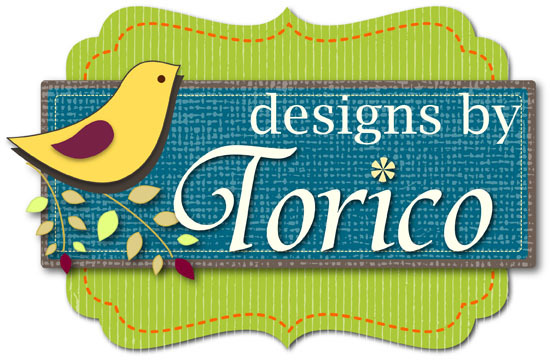 I hope you have enjoyed all of fabulous creations by super talented Trendsetters. Please hop over to the TSG blog and add your name to the Mr. Linky! Hi everyone! I can't believe it's already Saturday?! It has been a pretty busy week for me and I've got very very tired...:( I still have some things that should be done, but I managed to have a little time for crafting last night. 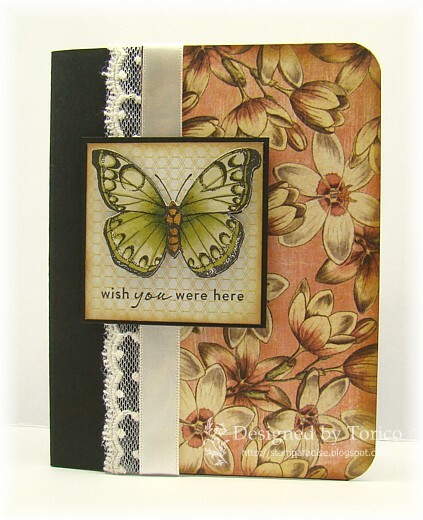 Here is a card I made for the Forgotten Stamp Friday Challenge (FSF11). 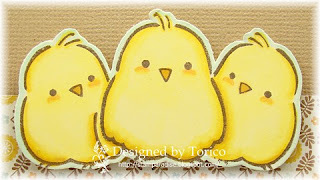 For this weeks challenge, I dug out the chubby chick stamps (Of course, they were carved by myself over a year ago! ). Sorry, I'm pretty busy this week. So I'm going to keep this post short. 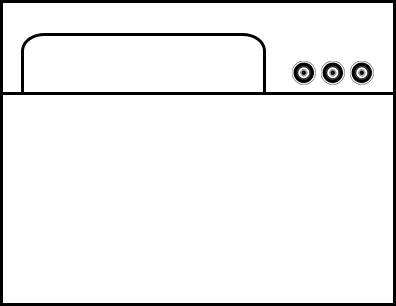 Here is a card I made using FTL 127 sketch. Happy Saturday! With another weekend has come again, it's time for playing with my forgotten stamps. 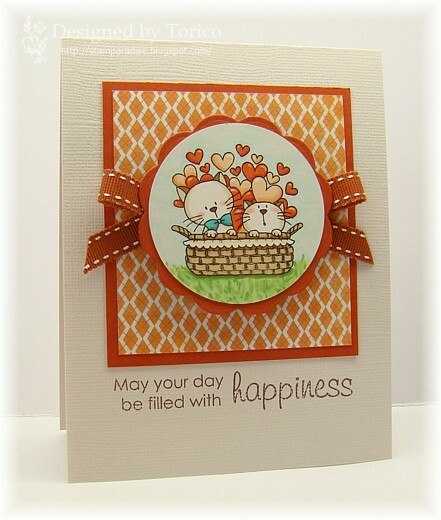 ;) I really look forward to playing along with Forgotten Stamp Friday Challenge every week! Today, I dug out a stamp featuring peeking puppies. I think I carved it in 2009. 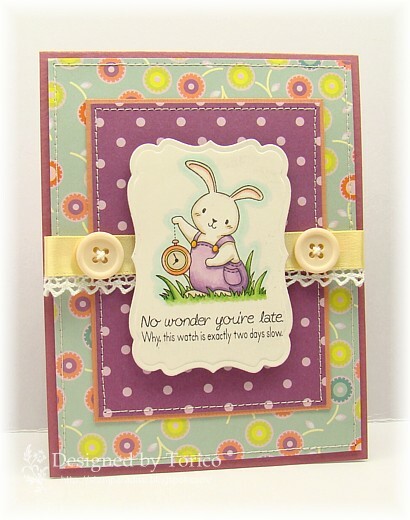 Last month, I saw THIS cute card that Iwona made for a TSG challenge. 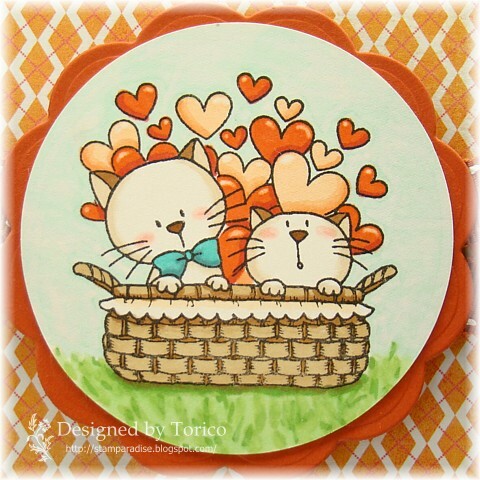 She combined two stamp sets, the Buckets Of Love and the Cattitude. I really loved her idea and thought that I had to try it. Finally, I've done! So lovely, isn't it?? ;) At first, I stamped the kitties from the Cattitude set, and masked it. 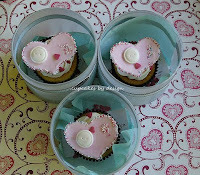 Then I stamped the hearts from the Buckets Of Love set. 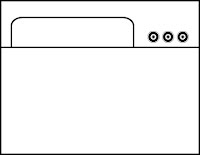 For this card, I used FTL 126 sketch. Hi everyone! It's a warm day today, and I'm getting sleepy... Before taking a nap (LOL!) 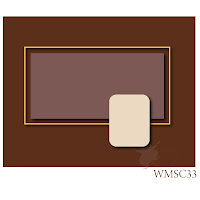 , I'd like to share with you a simple Valentine's Day card. This card is for Waltzingmouse Sketch Challenge #33 and Crazy4 Challenges 73 (which is to create a Valentine's Day cad). As I mentioned in yesterday's post, I played with a POOR forgotten stamp last night. Here is the stamp I picked up. 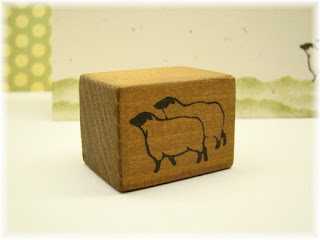 I carved this sheep stamp over two years ago. And, as far as I can remember, I never had inked it up till yesterday! LOL! This stamp seemed too small to be a main image on a card. 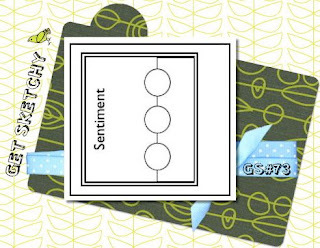 I thought that a good way to use such a small stamp is to incorporate it into a CAS card. 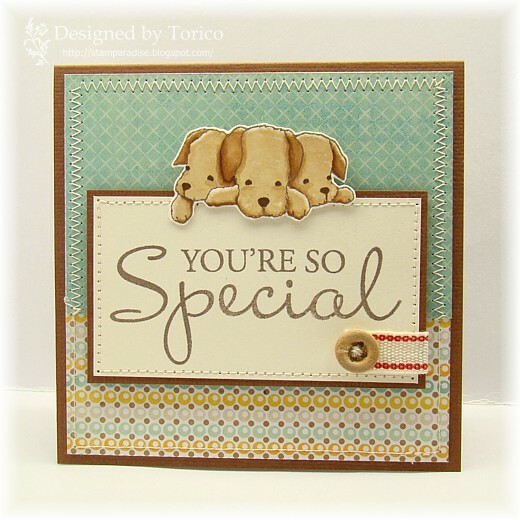 Here is the card I made for Forgotten Stamp Friday Challenge - Week9 (FSF09)! Ummm.... Honestly, I'm very very happy with this card! 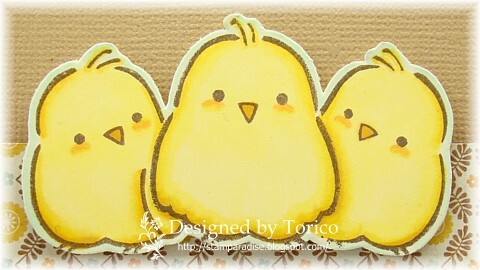 :)　I've learned that a small stamp has a great possibility. 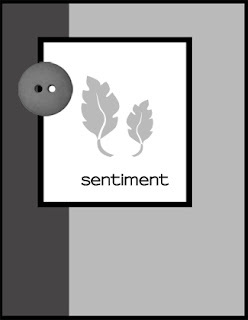 Today, I'd like to share a simple card using Day or Night set (There She Goes). I can't believe I made it! Yellow background? Pink roof?? 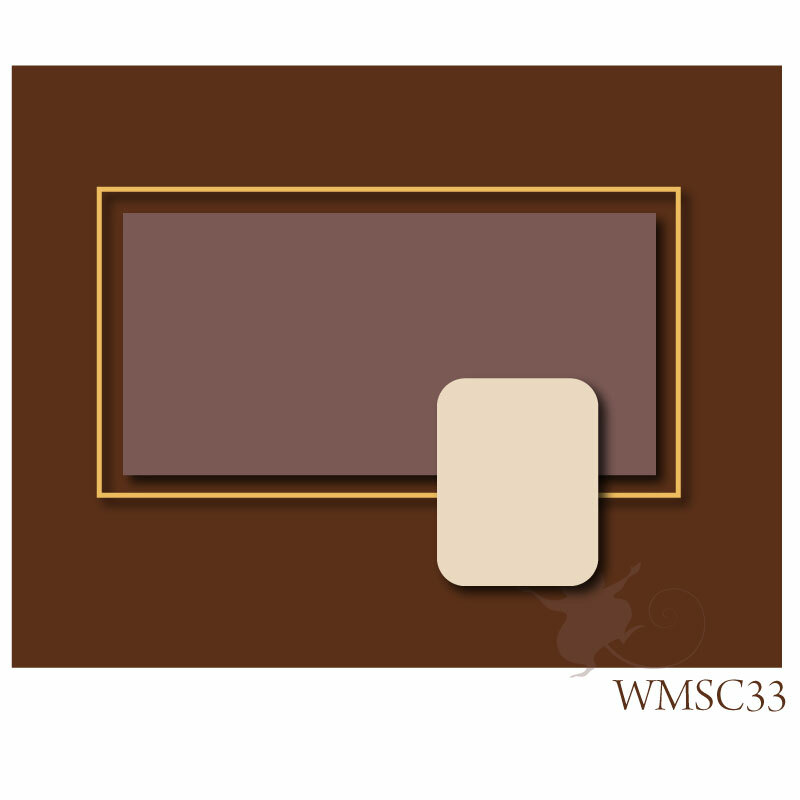 Actually, I planned to use a cream card stock as a card base. 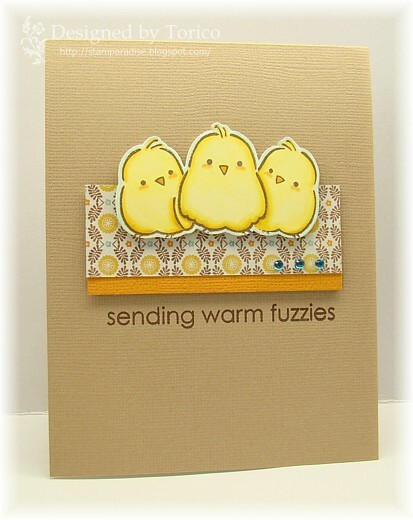 But, while I was working with this card, someone whispered to me, "Try yellow...Try yellow background!" Who was that?? LOL! Anyway, I'm so happy with the result. :) I might use a pastel color combo like this again in the future. It's a weekend, and it means that I'm going to play with a forgotten stamp. 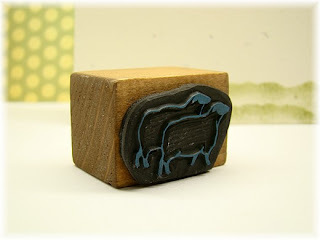 (I really enjoy Jessie's Forgotten Stamp Friday Challenge. :)) I hope I have time for stamping tonight! Hi everyone! It's already Friday night here! 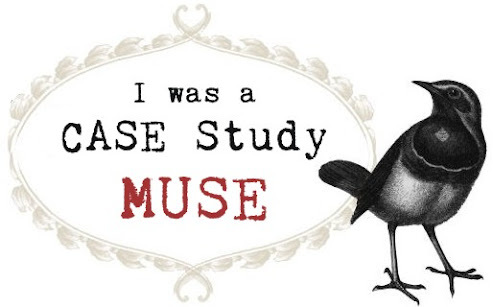 This week, my creative mojo was quite low... But yesterday, I found a postage stamp punch that had been neglected for a few years in my drawer. It is so cute and I don't know why I didn't use it for a long time. LOL! Here is a card I made using that punch. This card was based on the sketch from this weeks Get Sketchy Card Challenge (GS #73). (I translated it into a CAS style.) 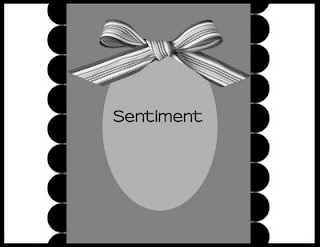 The polka dot heart is from Day or Night set (There She Goes) and the sentiment is from Bit Of Stardust set (There She Goes). I used three stamp sets for this card. 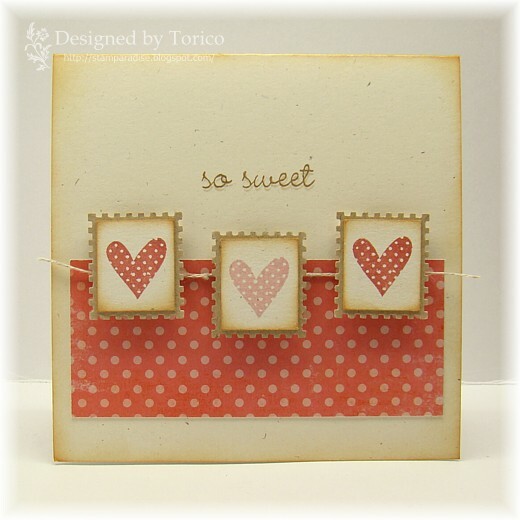 The cupcake image is from Frame-It set (Waltzingmouse Stamps), the tiny heart is from Day or Night set (There She Goes) and the sentiment is from Hero Arts. 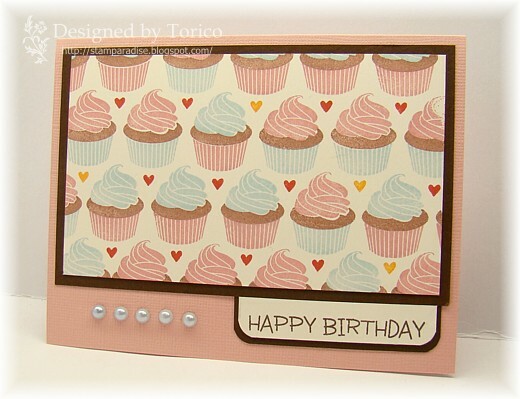 The sketch was from this weeks CPS (CPS 203) and my color inspiration was from the cute cupcake photo at the Cupcake Inspirations Challenge 96 (CIC96).